The 2016 Presidential Election & Food Law and Policy: What Happens Now? With the election of Donald Trump as president (as well as continuing House and Senate Republican majorities), the new political landscape likely heralds a great deal of change for many aspects of American life, from domestic policies affecting food, health, and the environment, to foreign policies surrounding immigration and free trade. The Harvard Law School Food Law and Policy Clinic (FLPC) works with individuals, communities, and government agencies across the country on a range of food policy projects. Since the election, many of our partners have reached out to us, eager to know what these results will mean for key food and agriculture priorities for the nation, and for the current and future work of the Clinic. Based on the limited discussion of food policy in this election, it is too soon to tell which policies will take center stage and which will recede, what food system gains from the past eight years face elimination, or what new opportunities might emerge. However, since election day, FLPC has been analyzing our projects and initiatives, consulting with partners and clients, and reviewing policy statements from the Republican Party Platform and from the campaign trail in order to chart a path forward. Below, we share our thinking on key food system advocacy priorities for the next four years, elaborating on some of the projects we will retain and describing how we will pivot to address the new political landscape. An estimated 63 million tons of food is wasted annually in the U.S., presenting a grave threat to our economy, health, and environment. 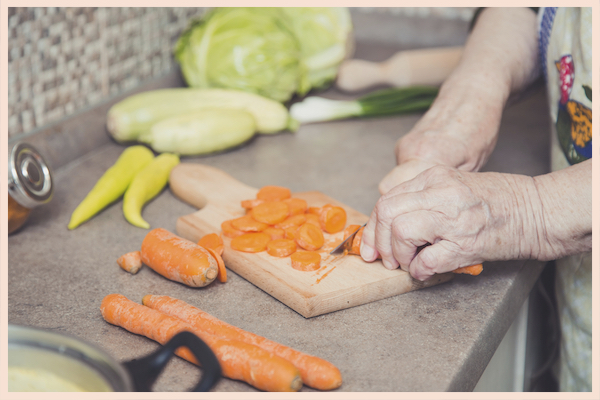 One of FLPC’s premiere areas of work is in identifying and advocating for policy changes at the federal, state, and local level to support food waste reduction, increased donation of healthy and wholesome food, and the treatment of food as the vital natural resource that it is. Reducing the amount of wasted food has seen bipartisan support over the past few years because it is more efficient, economical, and environmentally friendly — it makes sense. This year the U.S. House Committee on Agriculture held the first-ever federal hearing on food waste, entitled Food Waste from Field to Table, and FLPC ’s director, Emily Broad Leib, testified on our top federal policy recommendations to reduce the waste of healthy and wholesome food. FLPC is recognized as a national leader on providing research and policy recommendations to reduce food waste, and has published several reports, legal guides, and fact sheets on policy opportunities to divert surplus food away from the landfills. These publications include a legal guide on the federal enhanced tax deduction for food donations, a legal guide on feeding leftovers to livestock –which contains the first-ever catalogue of state and federal regulations for feeding food scraps to livestock — and a state and local policy toolkit with a wealth of policy opportunities to reduce food waste. FLPC’s work in this area has made real progress. In September 2013, FLPC published The Dating Game: How Confusing Food Date Labels Lead to Food Waste with the Natural Resources Defense Council, analyzing the laws regarding expiration dates and explaining how these unclear and unregulated labels contribute to an alarming amount of unnecessary food waste. Since the publication of that report, FLPC has continued to bring national attention to the challenge of confusing date labels. This persistence paid off in 2016, when our partners in the House and Senate introduced federal legislation to reform the expiration date labeling system, and with commitments from industry to work towards standard date labels. The attention and commitment to reduce food waste goes beyond the issue of date labels. In 2015, the USDA and EPA jointly announced the nation’s first-ever food waste reduction goal of cutting our food waste by 50 percent by the year 2030, and this month, over 15 major U.S. companies, including General Mills, PepsiCo, Unilever, and Walmart, pledged to help the U.S. meet this goal. At the same time, we continue to see unprecedented interest in reducing the amount of wasted food by state and local policymakers across the country. We believe this momentum will continue as we enter the new administration, because reducing the amount of wasted food makes sense for health, the economy, and the environment. We are confident that state and local interest in this topic will stay strong as well. Over the next four years, FLPC plans to stay at the forefront of policy research and advocacy to reduce food waste in the U.S. The Supplemental Nutrition Assistance Program (SNAP) is the largest nutrition assistance program in the U.S., and provides supplemental grocery purchasing power for more than 40 million Americans each month. However, this program faces a steep uphill battle in the incoming Congress and administration to maintain its current funding. SNAP is part of the Farm Bill, legislation passed every 5-7 years that provides authorization and funding for the bulk of farm and food programs across the nation. The next Farm Bill will likely pass in 2018. SNAP faced major legislative hurdles in the current Farm Bill (passed in 2014), including efforts to reduce the cost of the program by cutting benefits and limiting eligibility. The new Congress will likely reprise those efforts to remove SNAP from the Farm Bill; to find ways to cut program benefits, such as by eliminating categorical eligibility; to change the funding structure so that it is funded by providing a fixed amount of funding or a “block grant” to states, meaning that less money will be available overall; and to take other steps to reduce its ability to support the many American families who rely on the program to put food on the table each month. We will work hard in the coming months to prepare for challenges to SNAP and to identify the best policy recommendations and arguments for maintaining and strengthening this program. In addition to concerns about SNAP, other changes in the next Farm Bill will likely span the major commodities, crop insurance and conservation programs, while recent progress made in programs that support beginning farmers, local and regional food systems, and organics will likely be under threat. We will organize our messages around this and other key Farm Bill priorities with our partners through the National Farm Bill Research Consortium, FLPC’s newest initiative. This Consortium brings together faculty, staff, and students from nine programs at seven law schools, and law students from many others, to learn and work together on the Farm Bill. The Consortium aims to build a bench of legal scholars and law students prepared to use their expertise to engage in the writing, implementation, and evaluation of current and future farm bills. FLPC will continue to work with the Consortium to build an informed and invested legal community, capable of advancing ambitious policy reforms and defending the progress made in years past. We believe this capacity and knowledge will be more important than ever. FLPC has worked to improve the quality of school meals, to make it easier for children to access those meals, and to increase the amount of fresh and local foods that are utilized in schools. The Obama Administration’s policies have been groundbreaking in this regard. 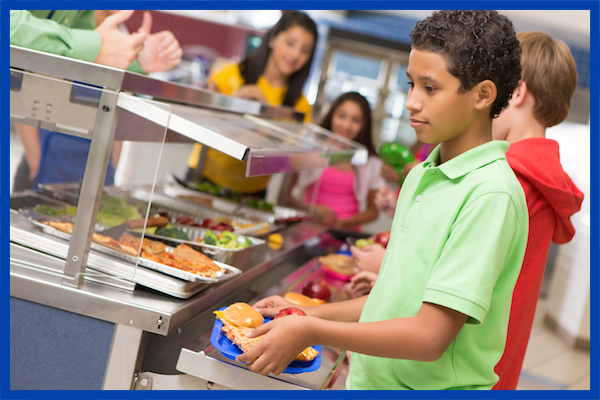 Most notably, the 2010 Child Nutrition Reauthorization (called the Healthy, Hunger-Free Kids Act (HHFKA)) — which sets the policies and funding levels for all federal child nutrition programs — brought many updates to the school food landscape. HHFKA updated the nutrition standards for school meals for the first time in fifteen years and created the first nutrition standards for so-called “competitive foods,” or foods sold a la carte in the cafeteria, in vending machines, and at bake sales. In addition, the HFFKA’s Community Eligibility Provision made it easier for schools in low-income neighborhoods to provide free meals to all students without the administrative burden of individual applications. The HFFKA expired in September 2015, and in early 2016 FLPC published a policy brief outlining our priorities for the next Child Nutrition Reauthorization. Yet, despite extensive public debate and draft bills from both the House and Senate, passage of a new Child Nutrition Reauthorization has stalled in Congress and now likely will not pass until the new administration takes office. Looking at the proposals of Congressional Republicans in this administration, and reading the tea leaves as to likely priorities for the Trump Administration (school meals have not featured prominently in President-elect Trump’s top policy priorities; however, Rep. Robert Aderholt, a member of Trump’s agriculture advisory committee noted that he “would be very surprised if we don’t see some major changes on the school lunch program”), we believe there will be serious efforts to roll back nutrition standards and attempts to limit access to free and reduced-price meals. While the Senate’s draft 2015 Child Nutrition Reauthorization bill was heralded as a compromise that kept many of HFFKA’s key provisions in place, the House version provides greater insight into what could come out of a Trump Administration and Republican-controlled Congress. In terms of nutrition, it would block sodium reduction targets for school meals and create exemptions from the new nutrition standards for certain competitive foods. In terms of program enrollment, it would raise the income threshold for the Community Eligibility Provision, which would eliminate the program for an estimated 7,000 schools currently participating, and convert school meal programs to block grants in three states, signaling what could become a broader push towards block granting school meals nationwide. Like block granting SNAP, this would mean that there would be less money available overall for school meals and, in some states, eligible students may not receive school meals. In light of these impending challenges, FLPC plans to increase our focus and attention to school food, and will continue to work for policies that provide healthy and affordable meals to all Americans, especially our children. State and local food policy efforts, often driven by food policy councils, have flourished in the past decade. The Center for a Livable Future at Johns Hopkins University reports that there are 246 state and local food policy councils nationwide, representing a nearly fourfold increase over the past 8 years. States and localities have charted a bold course, with legislative and administrative efforts – such as trans fat bans, menu calorie labeling, taxing sugar-sweetened beverages, and using zoning rules to increase available land for food production – that have widely improved the landscape for healthy and sustainable food. Many of these policies that started at the state or local level have been picked up by the federal government and expanded nationally; likewise, states and localities have devised groundbreaking new programs that have been picked up by the federal government and expanded nationally, such as healthy food financing programs and doubling SNAP dollars at farmers markets. 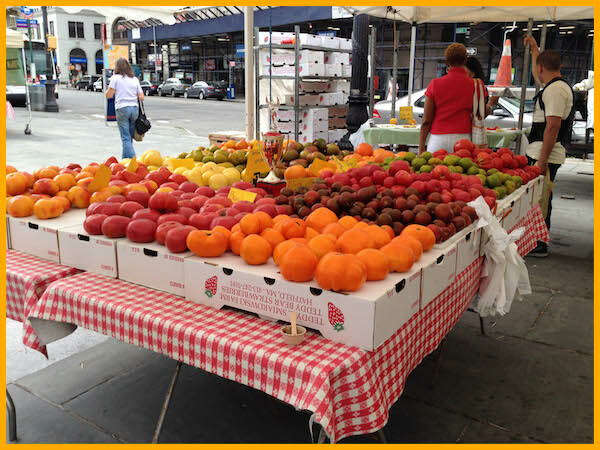 One of FLPC’s core areas of work involves supporting food policy councils and state and local food policy advocates. Over the past five years, FLPC has published three food policy toolkits for advocates – one focused on state policy, one on local policy, and one for Navajo Nation – and is currently finalizing an update to our local policy toolkit. In addition, FLPC provides individual technical assistance to food policy councils across the country, in places as varied as Mississippi, Memphis, Boston, Rhode Island, and West Virginia. While we will continue to fight for strong federal food policies, we acknowledge that the incoming Congress and administration may foreclose some policy opportunities at the federal level. However, the policy opportunities to continue creative and effective policymaking at the state and local level are as strong as ever, and the infrastructure and networks to support such action are firmly in place. FLPC looks forward to continuing to work with food policy councils and other state and local advocates to identify and implement innovative, effective policies. Proactive state and local policies will be even more important in the next four years. FLPC grew out of our Director’s work in the Mississippi Delta, a region where FLPC has a longstanding commitment to support improved health outcomes and economic opportunities, and has hosted a fellow for the past eight years. As a result of our roots in the Delta, FLPC’s mission includes an explicit commitment to support the most vulnerable communities, which has led us to partner with many rural communities across the nation. We conducted a range of long-term and short-term projects in many other rural areas, such as Navajo Nation, West Virginia, and throughout the Appalachian region, in partnership with the Appalachian Diabetes Coalitions (including counties in Kentucky, Tennessee, and Mississippi). Through this work, we have come to understand the unique and significant challenges facing rural communities, some of which played a key role in this election. We recognize that progress in rural America is not as simple as getting it on the agenda—it will require innovative ideas, strong advocates, and ongoing vigilance to ensure these voices are heard. We will continue to work with these communities, and as rural issues claim a national limelight, we will help our community partners capitalize on this opportunity to enact policies that uplift and sustain rural communities and rural food systems. In addition to FLPC’s priorities elaborated above, there are several other key areas where food policy may be affected under the incoming Congress and administration. The Food Safety Modernization Act, enacted in 2011 and implemented by the Obama Administration to overhaul the nation’s food safety laws, could face regulatory changes under the Trump Administration. Environmental regulations that ensure that food production is sustainable and safe are on the chopping block. Immigration reform has been a central platform of the Trump campaign, and these proposed immigration policies would significantly impact the food and agriculture labor force and the lives of many vulnerable food and agricultural workers. Eight years of investment in local and regional food systems and direct food marketing may see a decline in resources and attention. Many other food regulations are also potentially at risk, including the updated Nutrition Facts Panel, the menu calorie labeling rule, country-of-origin labeling requirements for beef and pork products, and the new genetically-engineered disclosure law. FLPC will remain vigilant to these and many other pressing food system issues, and will adjust our projects and priorities as needed in an effort to maintain the gains from the past eight years and continue to make progress in our food system. We will work to stay at the cutting edge by continuing to support clients and communities across the country, convening and strategizing with key partners, and providing legal and policy guidance on issues that impact the health, sustainability, equity, and vitality of our food system. Sign up for FLPC’s quarterly newsletter with news, updates, events, job opportunities across the country, and more. FLPC Director Emily Broad Leib was recently interviewed by Clinical Law Prof Blog; read the interview below. In the spirit of thanksgiving and the abundance of food most of us partook in last week, I thought this would be a great time to continue that theme and learn about the amazing Food Law and Policy Clinic that Emily Broad Leib supervises at Harvard. Here’s a recent interview I had with Emily about the interesting work she is doing. Enjoy! I recently saw that Fortune and Food & Wine Magazines named you as the number one most influential woman in food and drink for 2016. This seems like a pretty big deal! For the past three years, Food & Wine and Fortune Magazine have put out a list of the most innovative women in food & drink. I was incredibly surprised and humbled to be included at the top of the list! This honor was mostly in recognition of the work of my clinic, the Harvard Law School Food Law and Policy Clinic (FLPC), on the issue of food waste. 62.5 million tons of food is wasted annually in the U.S., presenting a grave threat to our economy, health, and environment. While there are a variety of reasons for this pervasive waste, we’ve come to learn that much of this waste results from laws regulating the food system. My work in date labels and the broader issue of food waste began from a clinic project we conducted on behalf of Daily Table, an organization that aims to increase access to healthy and affordable food by rescuing and selling surplus foods that would have otherwise gone to waste. To answer Daily Table’s legal questions, clinic students examined the laws in Massachusetts regarding date labels on food. When we zoomed out from Massachusetts to see what surrounding states were doing, we found a dizzying array of state laws, many of which restrict sale or donation of past-date foods. This is despite the fact that these dates are generally intended as indicators of quality, not safety, and for the most part food will still be safe and wholesome after that date has passed. Our work on date labels continues, and we’ve branched out to tackle other policies impacting food waste, such as food safety regulations, tax incentives for food donation, and liability protections for food donation. You are currently (among many other things), the Director of the Harvard Food Law and Policy Clinic. There are few law schools, if any, that have this type of clinic. Could you please take a moment to describe the impetus for this clinic and the types of projects and cases on which students work? When I was in law school, my main focus was human rights law. I didn’t know anything about food policy until my post-law-school fellowship in the Mississippi Delta, working with community partners improve health and economic opportunity in that region. Early in my time, community partners asked for legal assistance regarding local farmers markets. Food is closely linked to both health and economic opportunity. The Mississippi Delta is an agricultural region, yet there was hardly any production of food, and severe food access challenges. At the same time, many Mississippians were exploring opportunities to produce and sell farm products, but faced legal barriers. Communities around the country were struggling with similar legal and policy questions, and I learned that law students were eager to work on these issues. The Food Law and Policy Clinic aims to meet these needs. The mission of the clinic is to increase access to healthy food, support small-scale and sustainable food producers in breaking into new commercial markets, and reduce the waste of healthy, wholesome food. Preparing a confidential legal memo on date label laws, liability protections, and food safety risks for our client organization, Daily Table. Drafting a major national report, The Dating Game: How Confusing Food Date Labels Lead to Food Waste (published in partnership with the Natural Resources Defense Council), which analyzes the laws regarding date labels and explains how these labels contribute to an alarming amount of unnecessary food waste. Helping to plan, produce, edit, and distribute a short film about the problem of misleading date labels, entitled EXPIRED? Food Waste in America. Providing guidance to federal legislators in drafting of the Food Date Labeling Act, which was introduced in 2016 in the U.S. House and Senate and aims to clarify and standardize date labels nationally. Helping me to prepare and provide testimony on date labels and other food waste policy issues to the House Agriculture Committee as part of the first-ever federal hearing on food waste, entitled Food Waste from Field to Table. When I first started FLPC, we were the only food law and policy clinic in the nation, but this field is growing, and we are working hard to help build the field. The past two years, we hosted the Food Law Student Leadership Summit, which brought together 100 law students from 50 law schools nationally to learn about pressing food law and policy issues and network with one another and with leading faculty and attorneys in this field. And this year, we helped launch the Food Law Student Network (for students) and the Academy of Food Law and Policy (for faculty and institutions). This academic year, we are leading a consortium of nine clinics and programs at seven law schools to examine and propose recommendations for the U.S. Farm Bill. It is exciting to see this field grow, and to work with fantastic colleagues and partners around the country! As a clinician, I think it’s so important for our students to see our passion for the clients and issues we serve. Why do you have a passion for the type of legal advocacy you are taking part in at Harvard through the Food Law and Policy Clinic? I feel incredibly lucky that my work aligns with my passions. As mentioned above, I went to law school to pursue a career in human rights. What can be more basic than helping communities to pursue the right to food, by providing access to affordable, safe, and healthy food? I also value the opportunity that I have to be creative. Food law and policy is still a nascent field, which provides ample opportunities for finding new solutions and brainstorming creative approaches. Lastly, I love the educational part of my work – exposing law students to the field of food law and offering them opportunities to practice policy and advocacy skills, which have not typically been part of the law school curriculum. You are also the Deputy Director of the Harvard Law School Center for Health Law and Policy Innovation. I can potentially envision synergies between both of the clinics you supervise. Yes, there are incredible synergies! The FLPC is one of two clinics housed within the Center for Health Law and Policy Innovation; the other is the Health Law and Policy Clinic (HLPC). While there are certainly distinctions between the substance of the two clinics, there is also a lot of overlap and we have worked together on several major initiatives. One is a project called Providing Access to Healthy Solutions (PATHS), which was a four-year project focused on state and federal policy solutions to reduce type 2 diabetes. The other is our Food is Medicine initiative, which identifies key legal and policy levers to help increase access to healthy food as part of both prevention and treatment of chronic disease. The concept of food is medicine is still novel, but is quickly gaining traction. Our team undertakes a variety of research and advocacy to promote the effective integration of food into healthcare coverage where applicable. Speaking of synergies, what are some creative ways the directors/faculty/supervisors of the numerous legal clinics at your school stay connected with each other? Harvard is lucky to have a very large and robust clinical program, but because of the size it is difficult to stay connected. Fortunately, we have a variety of cross-clinical working groups and committees, including a clinical workshop committee that organizes workshops on topics such as clinical scholarship, use of technology, and better addressing race and diversity in our clinics. We also have periodic social gatherings and holiday parties that bring together clinicians. I also work closely with our other clinics, as food overlaps with many other topics. In addition to our collaboration with the Health Law and Policy Clinic (mentioned above), we have also conducted clinical projects in partnership with the Emmett Environmental Law Clinic, International Human Rights Clinic, and Transactional Law Clinics. I love these cross-clinic partnerships because they offer a great opportunity to bring together different expertise to help solve problems! Originally published by Rhode Island Public Radio on November 15, 2016. Written by Kristin Gourlay. State Medicaid programs – including Rhode Island – fail to provide enough access to cures for hepatitis C. That’s the conclusion of a new report from Harvard Law School’s Center for Health Law and Policy Innovation and the National Viral Hepatitis Roundtable. The authors say restricting treatment is illegal. New hepatitis C medications are expensive. That’s why state Medicaid programs like Rhode Island’s restrict access. Patients must have a high level of liver damage. And be abstinent from drugs and alcohol. And only specialists can prescribe. All of that is illegal, says Robert Greenwald with the Center for Health Law and Policy Innovation at Harvard Law School. Greenwald says states like Connecticut and Massachusetts have opened up access to hepatitis C drugs recently. Connecticut has no restrictions on the amount of liver damage to qualify for treatment. And Massachusetts does not require sobriety to be treated. Greenwald says hepatitis C now kills more Americans that nearly 50 other communicable diseases combined, including HIV. He has sued other state Medicaid programs over access to hepatitis C drugs – and won. Read “Report: State Medicaid Programs Illegally Restrict Access To Hep C Drugs” on Rhode Island Public Radio. The National Viral Hepatitis Roundtable (NVHR) and the Center for Health Law and Policy Innovation of Harvard Law School (CHLPI) today announced the preliminary findings of Hepatitis C: The State of Medicaid Access – a comprehensive assessment of state Medicaid programs’ discriminatory restrictions on curative treatments for hepatitis C, the nation’s deadliest blood-borne disease. The full report, with accompanying rankings and state-by-state report cards, will be released in early 2017. Preliminary analysis from Hepatitis C: The State of Medicaid Access – announced today at The Liver Meeting® in Boston – shows some improvements in both state Medicaid program transparency and access since 2014, yet also demonstrates that most states continue to impose discriminatory restrictions which contradict guidance from the Centers for Medicare & Medicaid Services (CMS), as well as guidance from AASLD and the Infectious Disease Society of America. Also concerning is that nearly half of states may not be making all restrictions publicly available. The Hepatitis C: The State of Medicaid Access final report will grade and rank each state, as well as the District of Columbia, according to overall “state of access,” as determined by curative treatment restrictions related to three areas: 1) liver disease progression (fibrosis) requirements, 2) sobriety requirements, and 3) provider limitations. The report will also provide the first-ever national assessment of Medicaid Managed Care Organization (MCO) coverage of curative HCV treatments. While there are some MCOs with low levels of restrictions, many follow their states’ fee-for-service (FFS) Medicaid restrictions, while others impose more onerous restrictions in violation of federal law. NVHR and CHLPI are asking state Medicaid directors to confirm all current treatment restrictions for curative hepatitis C treatments, and to detail any plans to broaden access and comply with CMS guidance. Medicaid officials may contact Ryan Clary (rclary@nvhr.org) and Robert Greenwald (rgreenwa@law.harvard.edu). States for which fibrosis, sobriety, and/or provider requirements remain unknown include: Alabama, Alaska, Arkansas, California, Delaware, Georgia, Indiana, Kentucky, Maine, Michigan, Mississippi, Missouri, Nebraska, Nevada, New Hampshire, New Mexico, North Carolina, South Carolina, Tennessee Utah, Washington, and Wyoming. According to the Centers for Disease Control and Prevention, hepatitis C affects approximately 3.5 million Americans. For the past several decades, hepatitis C treatment regimens revolved around painful interferon injections, which are vastly ineffective at managing the disease on an individual level and the epidemic on a public health level. In contrast, the new generation of treatments offer cure rates of near 100 percent with minimal side effects, providing hepatitis C patients with an unprecedented chance to live virus-free – and avoid liver failure, cancer-causing cirrhosis, liver transplants, and other health complications. Originally published by BioCycle; written by Emily Broad Leib, Christina Rice and Jill Mahoney. Emily Broad Leib is Director, and Christina Rice is a Clinical Fellow at the Harvard Law School Food Law and Policy Clinic (FLPC). Jill Mahoney is a J.D./M.P.H. Candidate at the University of Arizona and Extern at the Harvard Law School FLPC. 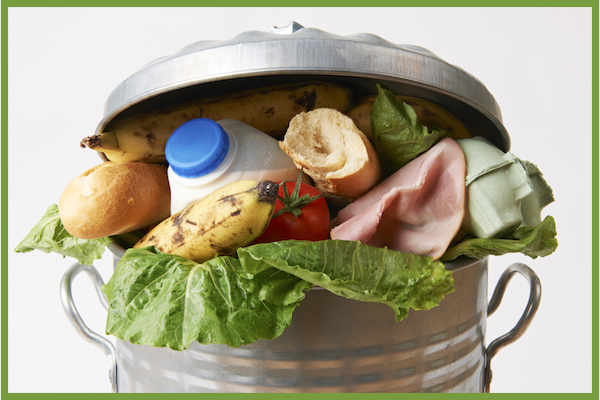 Approximately 40 percent of food produced in the U.S. is wasted annually. At a time when millions of Americans are food insecure and thousands of farmers struggle to stay afloat, the negative consequences of wasting food extend far beyond the environmental impacts and loss of resources that could have been otherwise allocated. There are great opportunities for food waste reduction at the federal level, but much can be done by states and localities, whose involvement in finding solutions to food waste and food recovery is vital. In recent years, states and localities have taken many steps to reduce food waste and enhance food recovery by providing state tax incentives to food donors, allocating funding to support food recovery and diversion infrastructure, reevaluating how schools handle food waste, and passing laws that ban organic waste from landfills. This article is excerpted from a newly released toolkit from the Harvard Law School Food Law and Policy Clinic (FLPC) titled, “Keeping Food Out of the Landfill: Policy Ideas for States and Localities,” which provides comprehensive information on eight different policy areas that states and localities can consider as they ramp up efforts to reduce food waste. Organic waste (organics) bans and waste recycling laws are one of eight solutions described in the toolkit (see Sidebar for other seven) to keep food waste out of the landfill. In addition to describing existing state and municipal organics bans and waste recycling laws, FLPC discusses why these laws provide promising models for other states and localities, and how they could be implemented and strengthened to increase diversion of food waste from landfills. In recent years, five states have implemented state-level waste bans. Some organics bans prohibit certain entities from disposing of organics, including food scraps, in landfills. Other states, and some localities, have implemented mandatory organic waste recycling laws, which require certain producers of organic waste to recycle the organics through specific methods, such as composting. Organics bans and waste recycling laws are outcome-oriented, rather than process-oriented, which allows businesses or residents to choose how they will prevent food waste or keep food out of the landfill. Both types of laws require “food waste generators”—the businesses, institutions, households, and other entities that create food waste—to reduce their food waste and make sure it is not being sent to a landfill. They both can help encourage food businesses to use their excess food as a resource by diverting it to higher uses. For example, after Vermont implemented an organics ban, the Vermont Food Bank saw food donations increase by 60 percent the following year. Table 1 breaks down the organic waste bans in effect in each state, and includes information on what type of waste generators are covered, what level of waste production is covered, and any exemptions based on proximity to an organics processing facility. Four of the five states—Connecticut, Massachusetts, Rhode Island and Vermont—structure their laws as organic waste bans, while one state—California—has instituted a waste recycling law requiring commercial generators of organic waste to either compost or anaerobically digest the organics. Each of the five states prohibits certain entities that generate specified amounts of food waste from sending this waste to landfills, subject to exceptions. Types of Generators Covered. As of 2020, Vermont’s law will cover anyone who generates any amount of food waste, including residents. In contrast, the three other states’ bans cover only certain commercial, industrial and institutional entities, with variation among them. Quantity Threshold. How much waste an otherwise qualifying generator must produce in order to be covered by the law also varies. The laws in Connecticut and Rhode Island only cover generators producing 104 tons of food waste or more per year (although Connecticut’s threshold will decrease to 52 tons/year in 2020), while Massachusetts covers generators that produce one ton/week or more. Vermont’s law began by covering entities generating 104 tons/year but will phase in smaller generators over time, until generators of any amount of food waste are covered in 2020. Exemptions. Similar variations exist among the laws with regard to exemptions for otherwise-covered generators, for example, based on proximity to a composting facility. While the Massachusetts law does not provide any exemptions for generators based on proximity to a composting facility, Connecticut and Rhode Island cover only generators located within 20 and 15 miles, respectively, of a processing facility that can accept food waste. 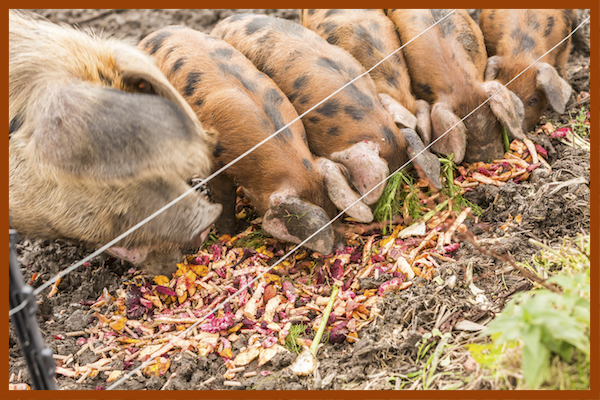 Currently, Vermont’s law only covers generators located within 20 miles of a certified facility, but in 2020, it becomes a total ban on food scraps in landfills, with no exceptions for distance from a facility. Unlike the four New England states with organics bans, California’s law takes the form of a mandatory organics recycling law. As of April 2016, businesses in California that generate at least 8 cubic yards (cy)/week of organic waste are required to recycle the organics on-site or subscribe to organics recycling services. The law will phase in businesses that produce at least 4 cy/week in 2017, and if disposal of organics in the state has not been reduced to 50 percent of the disposal level in 2014, the law will phase in businesses that generate at least 2 cy/week in 2020. California’s law does not exempt businesses based on distance from a facility, although it does allow for some exemptions for rural jurisdictions. 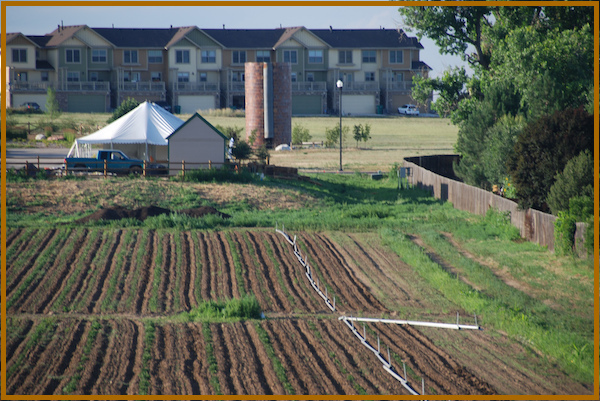 At the local level, a number of municipal laws exist that seek to divert food from landfills. Some of these local laws function similarly to the state laws described above. For example, New York City’s organics recycling mandate, which went into effect in July 2016, requires food service establishments in a hotel with 150 or more rooms, food service vendors in arenas or stadiums with seating capacity of at least 15,000 people, food manufacturers with a floor area of at least 25,000 sq. ft., and food wholesalers with a floor area of at least 20,000 sq. ft. to source separate their organic material and either arrange for the transportation of the organics, including food waste, to an appropriate processing facility, or to process the food waste on-site. Other states and municipalities are actively considering waste bans. New Jersey, for example, has pending legislation that would require restaurants, supermarkets, hospitals, and other food establishments that produce 104 tons/year of food waste and are within 25 miles of an authorized food recycling facility to ship all food scraps to that facility. For states and localities looking to implement an organics ban, the existing state and local laws in other areas may serve as a good starting place. FLPC, in its toolkit, analyzed these laws and identified areas where improvements could keep more food and food scraps out of landfills. Implementing some of the recommendations may be a gradual process, with certain elements phased in over time. Three of the four state-level organics bans currently exempt entities located more than a certain distance, generally 20 miles, from a composting or processing facility. In practice, these exemptions make it so that entities in vast areas of a state do not have to comply with landfill diversion requirements. For example, much of central and eastern Connecticut remains exempt from the requirements of the state’s organics ban because there is no approved facility in those parts of the state. While it may make sense to include exemptions based on proximity from a processing facility at the outset, phasing out such exemptions over time ensures that many more entities must comply with the law’s requirements, leading to increased food waste diversion from landfills over time. Including language in the enacting legislation or regulations showing that the exemptions will be phased out over time can encourage development of new processing facilities to meet future need. States might model themselves after Vermont by including a proximity-based exemption at the outset—20 miles under Vermont’s law—while also setting a date by which all covered generators would be required to comply, regardless of distance (in Vermont, 2020). These states should simultaneously work to encourage development of new facilities through changes to permitting requirements and increased technical support and funding. State and local food waste bans can divert larger quantities of material by taking an inclusive approach in defining the types and sizes of generators required to comply with the laws. States looking to implement or improve organics bans should eliminate distinctions based on generator categories, and gradually phase in smaller generators, like individual households, over time. To facilitate compliance by these smaller entities, laws that cover residential and small generators could emulate Vermont by requiring trash haulers and collection facilities that offer trash services to also offer services for organics, including food scraps, by the time residential and/or small generators are phased in. Across the U.S., composting can be more cost-effective than landfill disposal because composting facilities often charge a lower tipping fee. Tipping fees at U.S. composting sites average only $36/ton, while the average landfill tipping fee in the U.S. was $44/ton in 2014. However, this may not be the case in all states or regions of the country, and this pricing may change over time. Rhode Island’s organics ban offers a waiver from the requirements of the law if the tipping fee for the landfill is less than the fee charged by an authorized composting or anaerobic digestion (AD) facility located within 15 miles of the business. It is not clear whether this waiver is having a substantial effect in Rhode Island — the tipping fee at Rhode Island’s only commercial composting site is $30/ton, while the Central Landfill in Johnston, Rhode Island charges a tipping fee of $75/ton. However, the availability of this waiver has the potential to undermine the effectiveness of organics ban laws, particularly if used in a state or locality where privately owned landfills seek to compete with composting facilities. As a result, states and localities should try to avoid exemptions based on the cost of composting relative to landfill costs. States should instead focus on making waste diversion a cost-saving option. While generators could find ways to prevent waste or donate surplus to people in need, many of the state and local waste bans focus on composting and AD. Furthermore, waste recycling programs focus almost completely on composting. State and local waste bans or mandatory recycling laws should incorporate the U.S. Environmental Protection Agency’s Food Recovery Hierarchy. This way, even when many of the provisions of the law specifically require or encourage composting, it is clear to covered businesses or residents that there are other steps they can — and should — take to reduce and divert their food waste before relying on composting. Several cities in California, including San Francisco and Folsom, provide examples of incorporating such language in the mandatory recycling context. They have implemented educational campaigns that urge residents and businesses to follow the EPA hierarchy, and emphasize the importance of reducing food waste at the source and donating food before resorting to composting. States and localities can also emphasize the importance of diverting food higher up the hierarchy by incorporating a similar policy into their educational and guidance materials. At the very least, these laws should clarify that food donation is allowed and is a higher priority for wholesome surplus food than composting alternatives. States and localities can also use complementary policy mechanisms, like a tax incentive, to promote food donations. View the article on BioCycle. This blog post was written by Namita Dhawan, a Student in 2017 Fall Semester of Harvard Law School’s Public Health Law and Policy Seminar. Ideological differences between Republicans and Democrats have proved obstructive to the well-being of millions of Americans, particularly when it has come to disparate stances on health care. 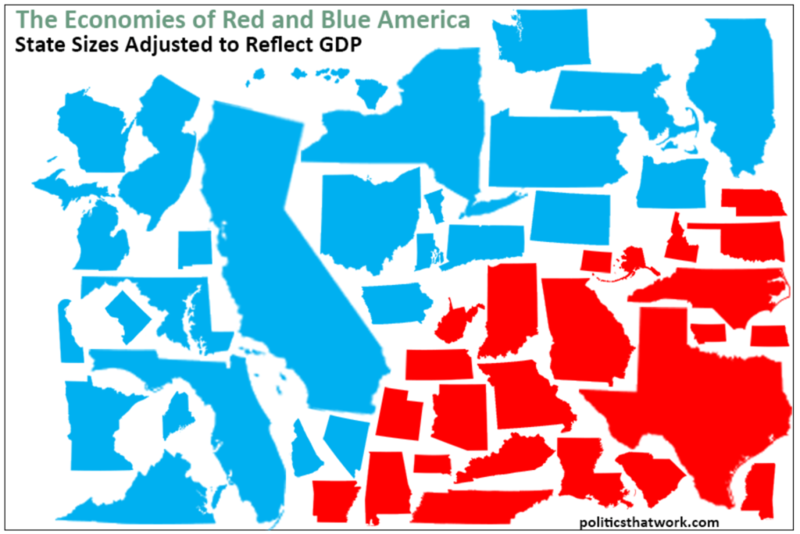 While poverty is not unique to traditionally Republican “red” states in the South, it is no coincidence that states with more conservative governors are those with some of the worst health care/epidemiological statistics. It’s also no coincidence that these same states have some of the most extreme instances of poverty as well. The fact that the states’ representatives generally eschew federal government involvement and monetary assistance maintains such levels of poverty. That poverty leads to poor health is not a controversial idea; and while conservative states would like the impoverished to put “skin in the game,” certain health conditions undeniably compromise one’s ability to work and thus, the cycle of poverty continues. It is imperative that these states consider government assistance monetarily, as well as in the form of health-care coverage. However conservative ideology, as powerful as it is today, will continue to prevent such considerations. The threat to Title X posed by conservative governors, and recently, House Republicans who released a funding proposal which would effectively eliminate Title X funding, exemplifies the consequences of such adherence to conservative social ideology. While Title X doesn’t pay for abortion services, the fact that some of Title X grants go to Planned Parenthood clinics (which provide abortions) is evidently enough of a reason for Republicans to fight the program until its death. While the program proves highly cost-effective (the Guttmacher Institute has calculated that investing $1 in such services saves $7 in public/Medicaid-related expenditures), cost-effectiveness is not necessarily a priority when an indirect connection to abortion is at play. This is particularly ironic in consideration of the fact that in 2012 it was calculated that Title X funding helped prevent about 363,000 abortions. Threats to Title X are particularly dangerous with the current public health crisis, Zika, since Planned parenthood and other Title X funded clinics are helping women learn how to avoid the virus, and that especially involves careful family planning. The fact that Title X is being debated by white men in Congress is particularly laughable when we consider the fact that threats to Title X disproportionately affect low-income, women of color, who make up the bulk of the clientele of Planned Parenthood and similar clinics. While other populations are subject to similarly dysfunctional health care systems, such as veterans and the Department of Veterans Affairs, there’s no debate about whether veterans deserve such services. To debate whether Title X should be repealed is to debate whether low-income women color and women of color deserve access to health care. Ultimately, until there is, at the very least, bi-partisan consensus that health care is a right that the government must guarantee, there will continue to be threats to the health of various populations in America. Democrats and Republicans alike must consider how many people and which people are dying as a result of each bill passed and each instance of stalemate.